I want to start by saying thank you. Thank you for letting me bounce lesson ideas off of you, answering any questions that I ask, and for making suggestions on how I can be a better teacher. Thank you for celebrating my successes with me, helping me work through my failures, and laughing with me when everything seems to be falling apart. Thank you for drying my tears, helping me through some great losses, and encouraging me to continue on when I do not possibly think that I can. Thank you for being such an immensely important part of my life. Thank you for being you. I want to take a minute to make you some promises. I promise I will always tell you when you have something in your teeth and that if you need talk I will stop what I am doing and listen. I promise to help you clean up vomit because you hate it, and for whatever reason it doesn’t bother me. I promise to see you through your hard times and lend you glue sticks when you have none because your students use 100 in a day. I promise to have your back just like you have mine. We are in this together. We are a team. We are a family. Every year it seems that we are asked to do more with less, and with this comes added stress. I know you do not hear it enough, but your ability to rise to every occasion is nothing short of amazing. You continue to give your students everything that they need to be successful even if it means giving so much of yourself that you are nearly tapped out. I need you to know that if it weren’t for our lunch conversations, our matching shirts for holidays, and your ability to understand what I am thinking in a staff meeting without me actually having to speak, I do not know that I would do. We have been through a lot together. With each passing year our bond with one another, and the love we have for each other, only seems to grow stronger. I know wholeheartedly that I would not be able to make it through the days if I did not have you by my side. Thank you, I love you, and I will forever feel blessed to have friends like you. Thank heaven for dedicated teachers such as you Nick! Your students, and the world, are all the better for it. All rights reserved. 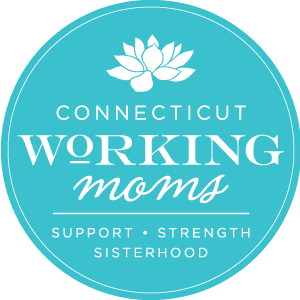 All blog posts, images and related content are property of CT Working Moms, LLC. Republication or redistribution of content, text or images, in part or whole is strictly prohibited without prior consent from the website owner.